Ljubljana Weekend Escape - VISIT LJUBLJANA AND HAVE FUN! Best Ljubljana weekend getaway for girls! 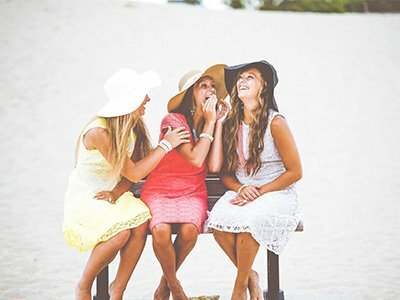 Make new memories with your best friends and visit Slovenia, which is prefect destination for a short break. Because of its small size Slovenia is practical for travel. 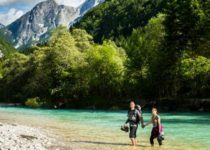 You can be on the seaside, enjoying in Mediterranean sunshine, and in just one hour drive you can already be in the heart of the Alps – breathing the mountain air. You will fall in love with the capital city – Ljubljana. City is small enough to easily navigate, but big enough to offer you plenty of attractions and opportunities for fun. Ljubljana is located in the heart of the country, making it ideal for discovering Slovenia thru short one day trips. Ljubljana weekend getaway is a must for active travelers! 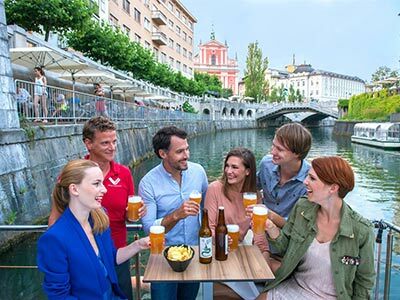 Here is our well prepared guide to help you and your closest friends plan a weekend or 3 to 5 day visit in Ljubljana and surroundings. Ljubljana is just magical in spring and summer. 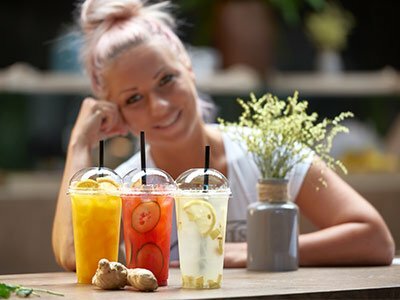 Nice little restaurants and cafes for chilling by the river in the city centre will impress you. 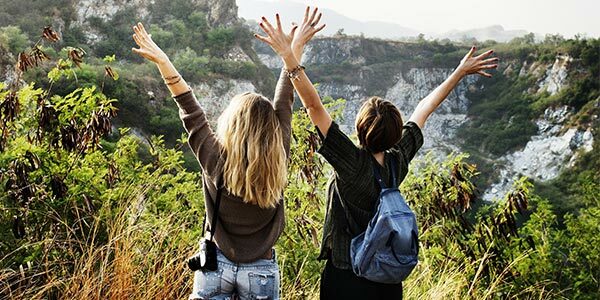 Beside sightseeing, there are also multiple different activities to discover – What to do in Ljubljana with your friend? Discover secret corners of the city with a bike! Use public shared bike network BICIKELJ and explore the city from different angles. Find hidden streets in the old centre, admire the ancient architecture, visit the park TIVOLI and enjoy the ride by the river Ljubljanica. Hop on cable car and visit the castle in the middle of the city centre, which offers you fantastic view of the city and surroundings. And what you really can’t miss? Every Friday you can experience true culinary adventure on food market OPEN KITCHEN. There you can taste fresh different local and international specialties, cooked in front of you. 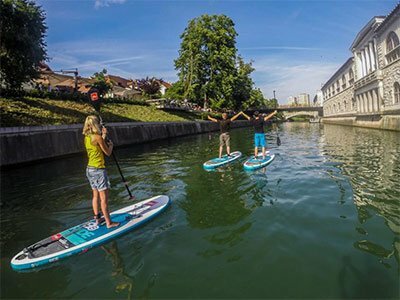 For relaxation and different view of the city select Ljubljana SUP tour! All his packed in one Ljubljana weekend getaway! Bled lake is Slovenian tourist treasure. You will be impressed by amazing lake with small Island with church in the middle. To make experience even nicer visit romantic Island in the middle of the lake with special local boat called “Pletna”. Boats are men operated and powered, so guide will pedal the boat by hand towards the island, making this an unforgettable experience. Once on the island you can ring the iconic bell that will make your wishes come true. Or you can take a tour of medieval castle just above the lake and experience life as it was five centuries ago. If you will need just a few hours of quiet time, you can just chill in one of the many of nice places with great view on the lake. In summer time this is ideal place for swimming or having fun on a SUP tour. And what you really can’t miss? You need to try legendary Bled cream cake, which is famous local dessert that originated in Bled Slovenia. 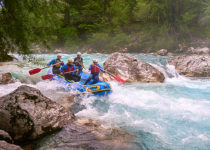 Whatever you decide to do, Bled must be on your to-do list, if you are visiting Slovenia. 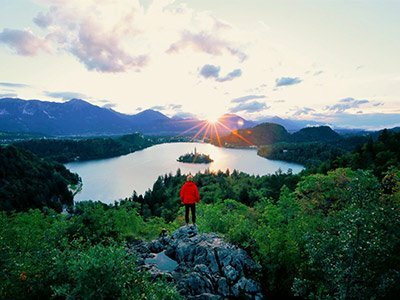 Holidays in Lake bled will blow your mind! If you want that your weekend escape is something special, you really need to see the QUEEN of all caves! Postojna cave is the world famous underground cave, which is unique natural phenomena. Cave was already visited by 38 million visitors, making it one of the biggest attractions. You will be impressed by glorious web of tunnels, walking through underground galleries and halls 100 meters under the surface. 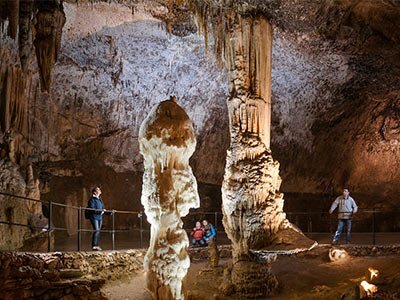 During the visit you will discover 24 kilometres of mind blowing underground cave systems with features that are millions of years old. If you are lucky you will also see tiny creature called Baby Dragon, which only lives in this cave. And no worry, if you and your friends will be tired from all previous activities – there is cave train, which drives you through magnificent underground world. If you are fascinated by castles, you can’t miss biggest cave castle called ‘’Predjamski Grad’’. Castle is located in near proximity of Postojna cave, so you can easily discover both attractions in one day. 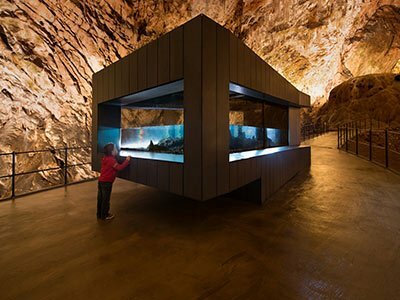 Visit Postojna Cave and discover biggest Slovenia tourist attraction. And where is the best place to finish your trip? Relax at Slovenia seaside! We suggest to discover small city of Piran. You will defiantly fall in love in this tiny Mediterranean city, which has a very special beat. 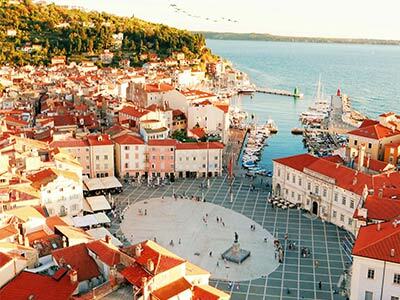 Piran offers an amazing mix of traditions from three counties – Slovenia, Croatia and Italy. Here you can relax in one of the beautiful restaurants of cafés located by the sea. You can discover secret corners of this old town that originates in 6th century BC, or enjoy in culinary specialties. Around the city you can also find very nice hiking or biking trails that will drive you along Mediterranean coast. If you are tired you have to spoil yourself in the unique outdoor spa centre. Once in Piran, you must taste local speciality – seafood dinner by the beach and experience a panoramic boat trip. We are sure that you will not forget this place! 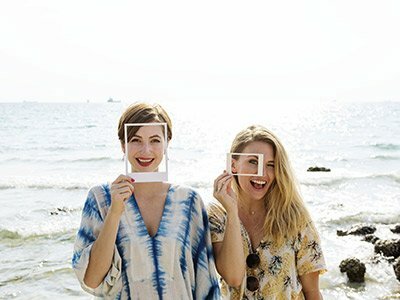 It’s time for planning new getaway! If Ljubljana weekend trip is what you are looking for. 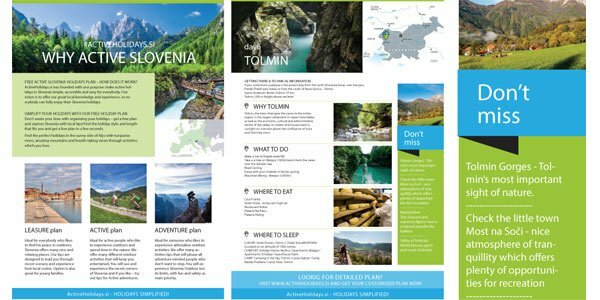 Check out FREE holiday plan for Active holidays in Slovenia!